The BMW i8 concept car revealed during CES features cameras located where side-view mirrors be, and on the top inside of the back window. 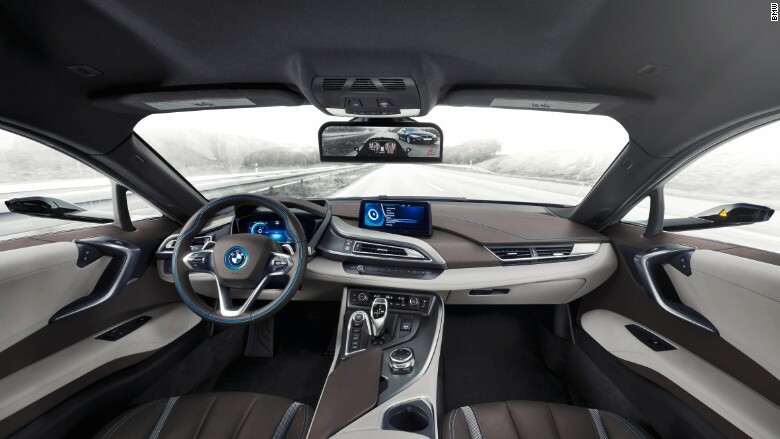 The rear-view and side-view mirrors in the i8 are replaced by three cameras and a special screen to show drivers what's behind and around their cars. The i8 concept car was unveiled during the CES in Las Vegas. Two of the cameras are on the exterior of the car where side mirrors are normally located. But the struts that hold the cameras are significantly slimmer than existing designs. The third camera is placed inside of the rear window. The car's software stitches all of the video feeds together for a very wide view of the road. A high-resolution video is streamed to a screen where the rear-view mirror would be. 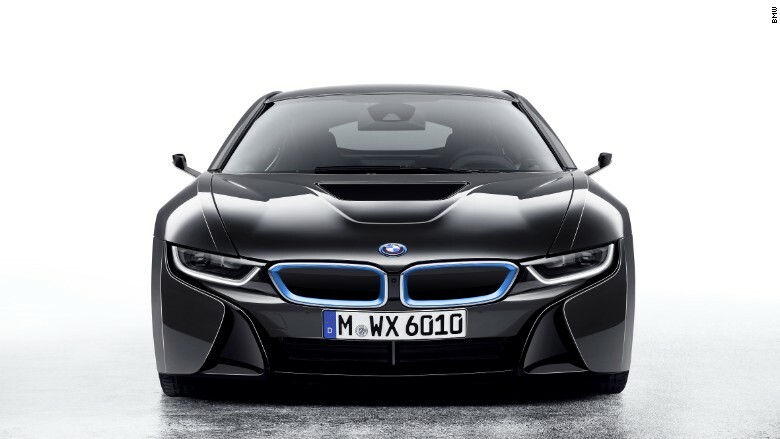 "Dangerous blind spots have been consigned to the past," BMW says about this technology. "The image of the traffic behind the car covers a greater viewing angle than could be observed using the interior and exterior mirrors. No adjustment of the cameras is necessary." The car's software system will also provide warning signals on the screen if it senses dangerous obstacles. 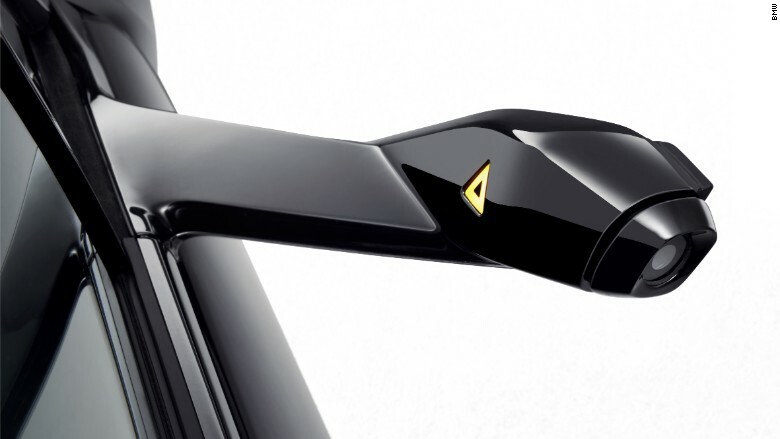 Trimming the side mirrors provide more than just improved safety, BMW says. The new design will reduce wind noise because they are "optimized aerodynamically and aeroacoustically." The loss of bulky side-view mirrors should also help improve gas mileage, which automakers are always looking to do in order to meet tougher fuel mileage rules. The main catch to BMW's idea? The car would be illegal to drive in the United States right now. The National Highway Traffic Safety Administration rules require rear-view mirrors. GM has created a similar feature for its new Cadillac CT6. But the CT6 has a standard rearview mirror that can also stream high-resolution video from a camera mounted on the back of the vehicle. -- CNNMoney's Peter Valdes-Dapena contributed to this report.